Big hugified great news. Amazon has opened up their very own mp3 store, aptly called Amazon mp3. – Since the songs are mp3 format, they will play on any digital media player, including but not limited to the iPod, iPhone, Sansa, Creative Zen, RAZR, or even (dare I say it) Microsoft Zune. 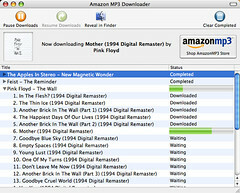 Amazon offers an app called the Amazon mp3 Downloader to make getting the content really easy. Even better, as the Downloader downloads the music, it automatically ports the songs into iTunes or WMP. Not too shabby, Amazon! I wanted to try out Amazon mp3, and so I picked up a few albums. One was the newest Feist album that I’ve been debating getting for the past few days. I’m listening to it right now, and I must say that it’s pretty good. That’s another story for another time. The other is Pink Floyd‘s The Wall. I’ve yet to listen, but, common, it’s Pink Floyd. It’ll be great. 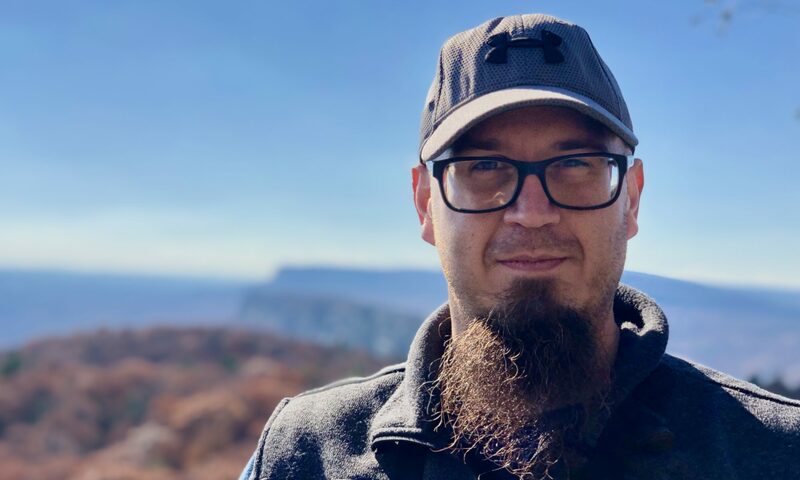 – Stand-alone app connects to the Web for content. No need for a browser. So, what does this mean? It means that I will be checking with Amazon before I make any music purchases. I can deal with a 256kbps mp3 as compared to a 256kbps AAC for all the money I am saving and for the ease of use it offers. I did find it a wee bit hard to parse through Amazon’s database. I tried searching for a Bob Dylan album, but couldn’t quite get to a Dylan artist page to select the album I wanted to purchase. iTunes does have music searching down to a science, and their iTunes Essentials, Celebrity Playlists, iMixes, and other specialty playlists does make it fun to find new music. I bought about $10 of music the other day while just browsing those little playlists in iTunes. The other good thing about Amazon jumping in the digital music distribution business is the fact that Apple finally has some real, solid competition. That can only mean good things for us, the consumers. Will we see some more competitive pricing? New innovation? Who knows, but it can only be good. I totally agree. It can only be good. One of the things I like the most about it is that it’s integrated with Amazon’s Developer network so geeks like me can make custom searches and tools. I created a Top Downloads RSS feed and I can insert it into my webpage, my netvibes page, and/or my feed reader and see the hottest new stuff come across every day. Plus, the free songs are ALWAYS in the top downloads list so I get tons of free music. It’s awesome.